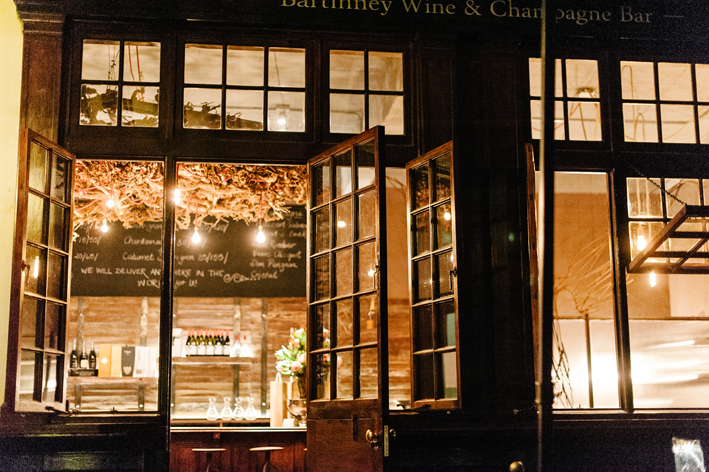 The Bartinney Wine & Champagne Bar has one of the nicest old timber shop fronts I’ve seen and I made use of it by converting one of the windows into a flap with a ledge below so people can sit on either side.The layout of Bartinney’s is compact, with an antique serving counter being the first thing one sees upon entering. 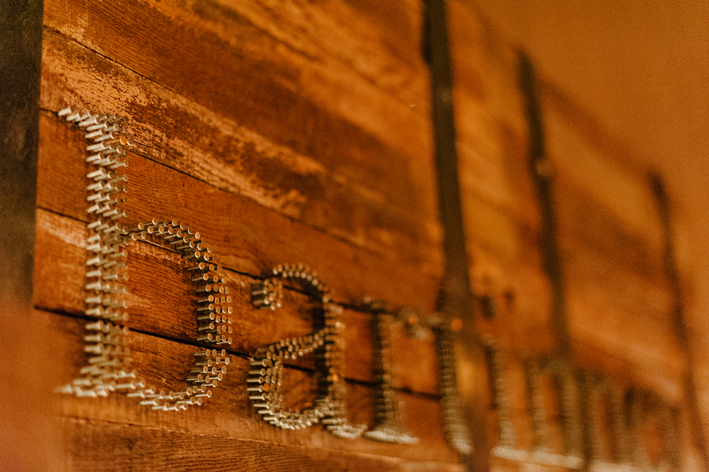 Behind this the wall has been clad with wine staves actually used in the production of Bartinney’s wine, along with a nice detail of the logo created from over 1000 masonry nails knocked into the cladding. 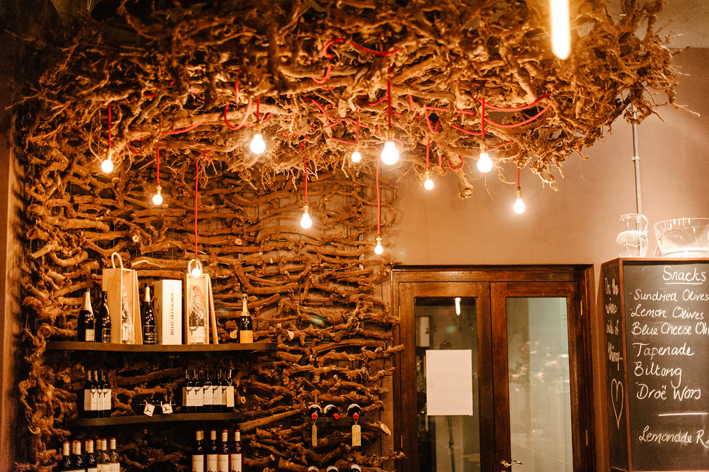 Overhead I created a bulkhead light from Bartinney vines. 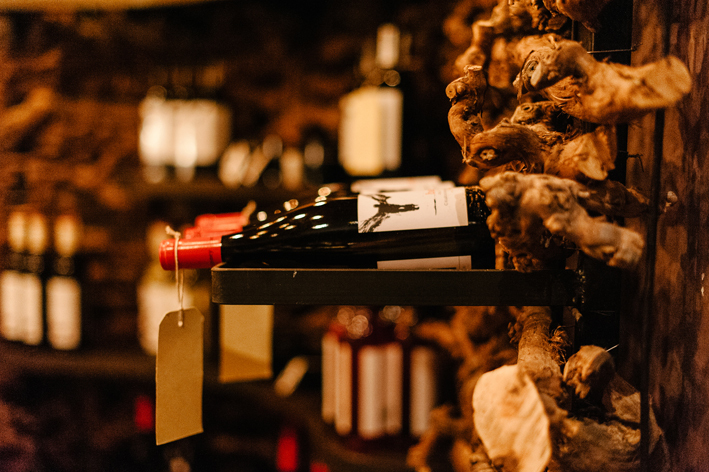 They cascade down the corner of the shop to form a wine retail display. 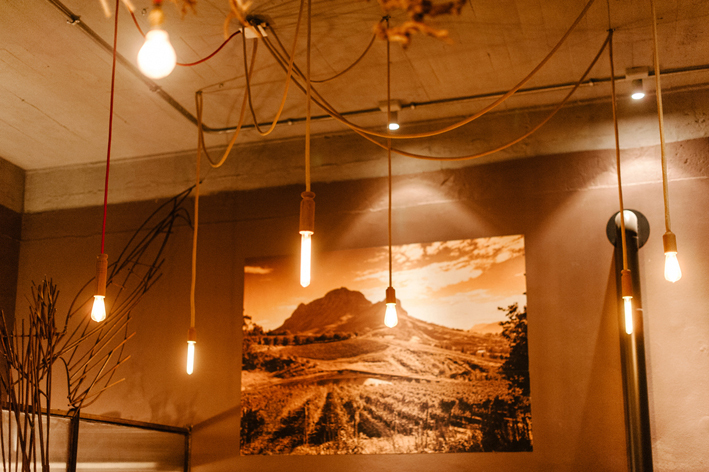 When standing here it almost feels as if one is standing beneath the vine. 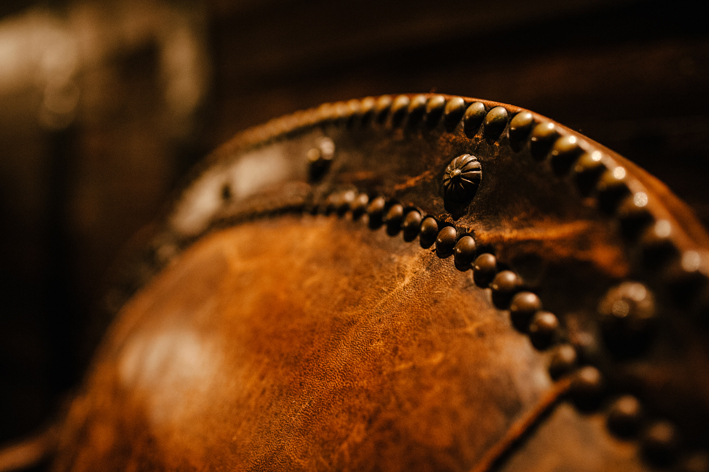 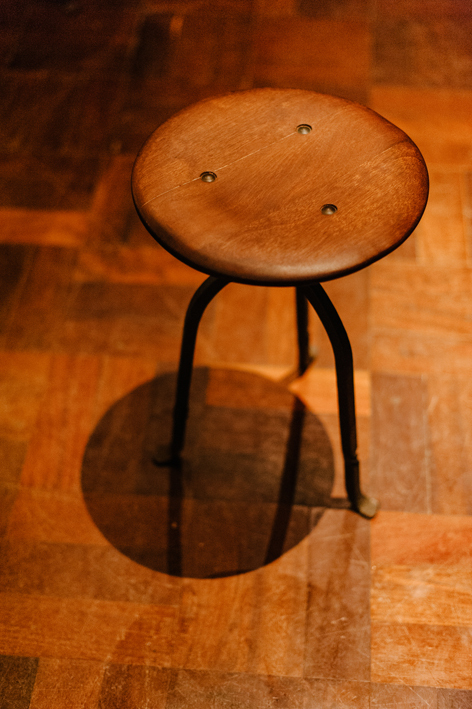 In the seating area, compact tasting furniture was custom designed by Nic Tamlin and made from a combination of reclaimed ship wood, and hand beaten steel. 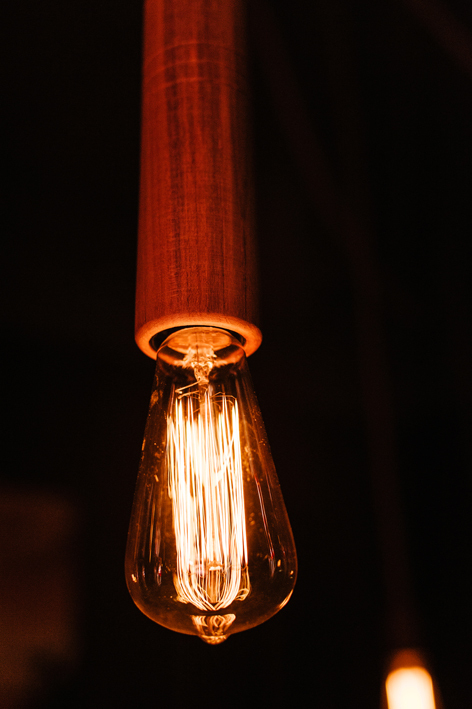 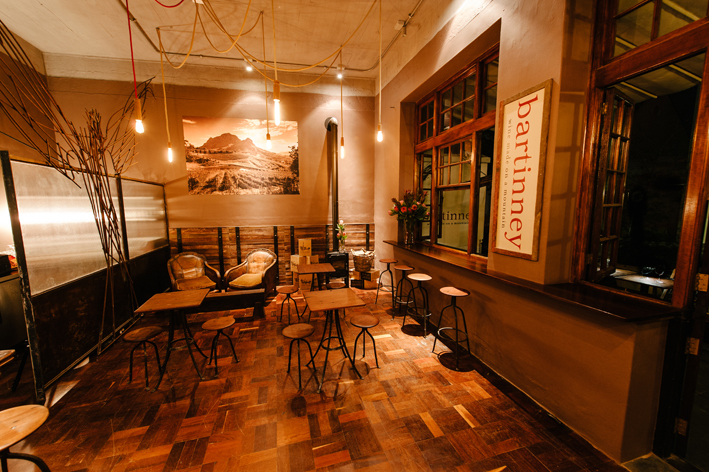 Low hanging wooden vintage lights and a stove fireplace create a warm glow and cosy atmosphere in the evenings at Bartinney’s Wine Bar. 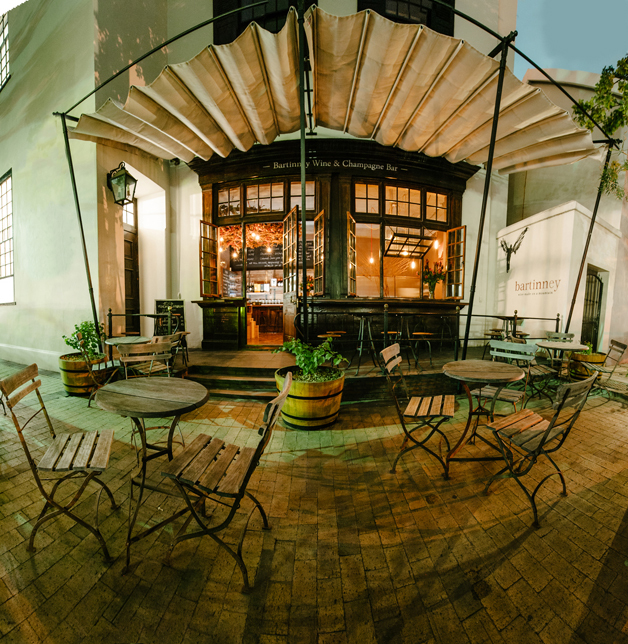 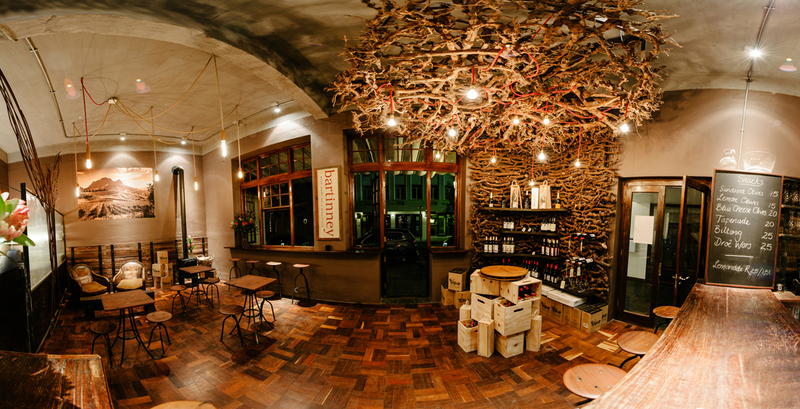 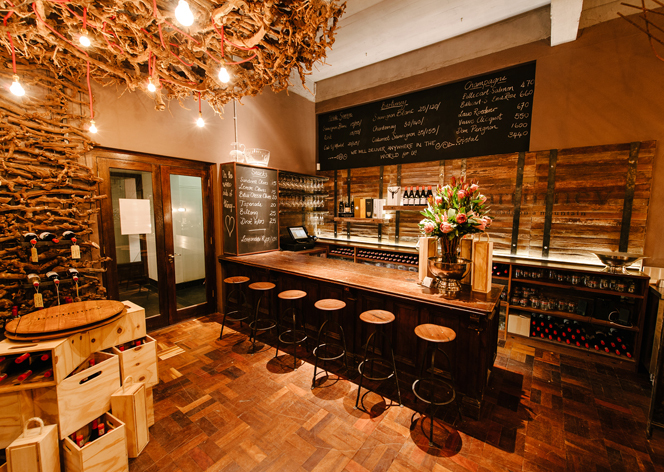 It’s no surprise that this little place has become a popular boutique wine bar in Stellenbosch.